Hermosillo, Sonora – This Friday, residents of the Sonora River region blocked two highways to protest Grupo México’s foot-dragging in remedying the damage caused in the region by what federal authorities consider to be the worst toxic spill in the history of mining in Mexico. Inhabitants from the municipality of Ures blocked the highway from that area to Mazocahui; meanwhile residents from the municipalities of Aconchi, Baviácora and Arizpe closed the road from Mazocahui to Cananea [where the mine is located]. 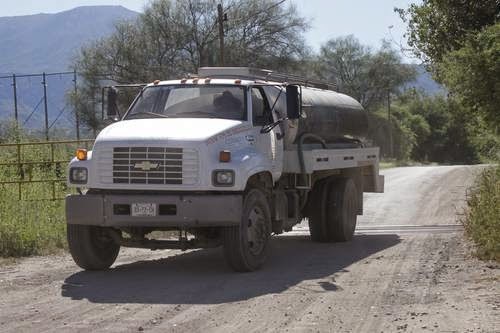 Mayor Lugo López added that the people demand that better attention be paid to the emergency in the villages along the Sonora River, where they are living through an economic and social tragedy caused by the toxic spill from the Buenavista del Cobre mine operated by Grupo México in Cananea. Mayor Lugo López stated that several mayors from the Sonora River region will accompany local residents who are deciding on measures to be taken. 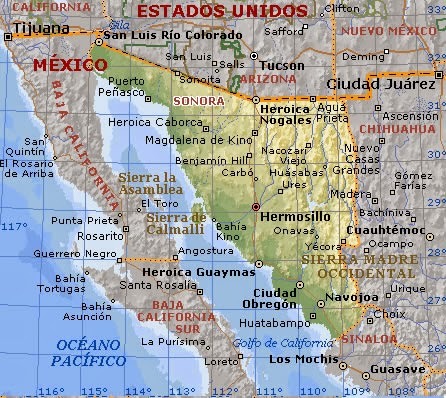 These measures could escalate in the coming days to, for example, the closure of streets and highways in the Sonoran capital [Hermosillo]. This Friday, at a meeting of the Emergency Committee attended by officials from the three levels of government, Adolfo García Morales, a representative from the Secretariat of Government Relations [SEGOB], acknowledged that an intense crisis exists in the region and that the institutions have been so worn down by the emergency that they have lost credibility with the people. García Morales acknowledged that the people along the Sonora River are tired not only of dealing with the emergency for nearly a month, but of meetings where promises are made but alternative solutions are not implemented. In an interview, Francisco Javier Durán Villa, mayor of Baviácora, said that roadblocks are ongoing in communities like Mazocahui, Ures and Aconchi; furthermore, in their demands for an immediate response to the economic crisis set off by the environmental event, citizens have seized the offices of the region’s municipal mayors. 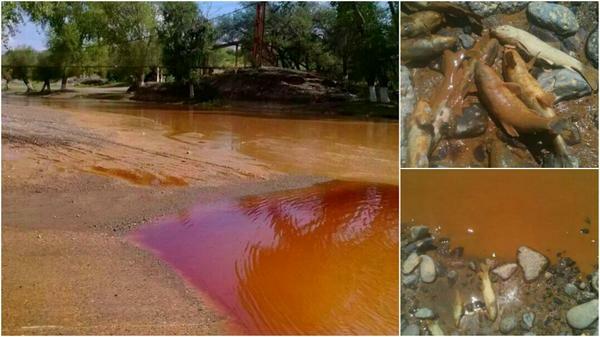 In the region of Sonora affected by the contamination from the hazardous waste spill of the Buenavista copper mine owned by Grupo México, a superficial cleaning can be seen with the removal of sludge, which is then left by the side of the river. The population is being misinformed and the company is using the remediation as a campaign in its favour, said Sinai Guevara, head of Greenpeace’s toxics campaign. He asserted that the heavy metals which the spill dumped in the Bacanuchi and Sonora Rivers, such as copper, arsenic and cadmium, will remain in the sediments of the river channel. Each brings different effects, but in general all are bioaccumulative, as the body cannot eliminate them. They can cause problems including kidney failure, cancer or hormone disruption. He gave as examples that cadmium causes osteoporosis and cyanide can be fatal. He mentioned that, in a tour made by Greenpeace members in the area over the past week, they learned that the spill last August 6 is the third so far this year. He explained that what they found was that superficial cleaning is being done – mud is cleared from the channels with shovels, but it is set aside in the open air, so it must be verified that this will be removed and not left at the mercy of the elements. He said that there must be permanent monitoring of the water quality; “when the cleaning starts, the forgetting starts.” He said if the cleaning is only superficial, the possibility remains that the population might suffer illnesses in the long term. Is also difficult to inform people in the 200 kilometre [124 miles] long area, where damage was caused by the spill of 40 thousand cubic meters of acidified copper sulphate from the impoundment dam of the mine, located in Cananea. The people of the region, he added, said that this is the third time this has happened in the mining facilities so far this year, but as the other cases were of lesser magnitude, they were not reported to the authorities. He added that the Yaqui tribe is also left affected, because, as the El Molinito reservoir is closed due to the pollution, now the only source of water for Hermosillo is the Independence Aqueduct. This affects the tribe’s water supply, regarding which there is a ruling by the Supreme Court of Justice. [Note: The Court granted an amparo (injunction) against the continuing construction of the aqueduct, as it takes water from the Yaqui River, to which the tribe has rights. The injunction has not been honoured by authorities and construction continues. Within one month, four environmental ‘accidents’ were recorded in Mexico: two oil spills and two of toxic chemicals, the international organization Greenpeace highlighted, also noting that 70 percent of Mexico’s rivers have some degree of contamination. In an analysis of President Enrique Peña Nieto’s government, the environmental organization said that in 20 months, an extractive model regarding natural resources has been consolidated, using the promise of economic growth that has not arrived, and the government has showed its contempt for the environment . It noted that oil spills occurred in the towns of Cadereyta, Nuevo León, and Huimanguillo, Tabasco, while cyanide was spilled in the town of El Oro, Durango, and 40 million liters [10,566,882 US gallons] of toxic substances were spilled into the Sonora and Bacanuchi rivers in Cananea, Sonora, from the Buenavista del Cobre mine, a subsidiary of Grupo Mexico. It also represents a high cost to society, because the more water is polluted in tributaries, the more expensive it will be it make it drinkable, to bring it to cities and to address the impacts remaining for the affected communities and the environment. Some substances discharged by industrial activity in the rivers and lakes of the planet are highly toxic and produce direct effects on the health of living beings because they can cause hormonal disruptions, damage to the developing foetus or even cancer. The international organization said that, despite the Environmental Liability Act which came into force on July 7, 2013 and which establishes damages for offences committed against the environment, a revision of sanctions is needed in order to inhibit pollution by companies. In the case of Sonora, the fine for Grupo Mexico is ‘laughable’ as the payment imposed by Conagua is 1.2 million pesos [US$91,000] for the damages to 24,000 people in seven municipalities, while the Federal Attorney for Environmental Protection (Profepa) applied a penalty of 40 million pesos [US$3 million] plus ‘reparations’, an amount that is unknown. Added to this, the energy reform has opened another threat to the issue of water, with the use of the technique known as fracking (hydraulic fracturing) for the extraction of shale gas, which means drilling into shale rock by injecting a pressurized mixture of water, sand and chemicals. Currently, there are at least 30 conflicts arising from mining activities in the national territory. Generally, they tend to cause social disputes arising from damage to the soil and the environment; additionally, they violate the rights of indigenous peoples, according to the Fundar organization. 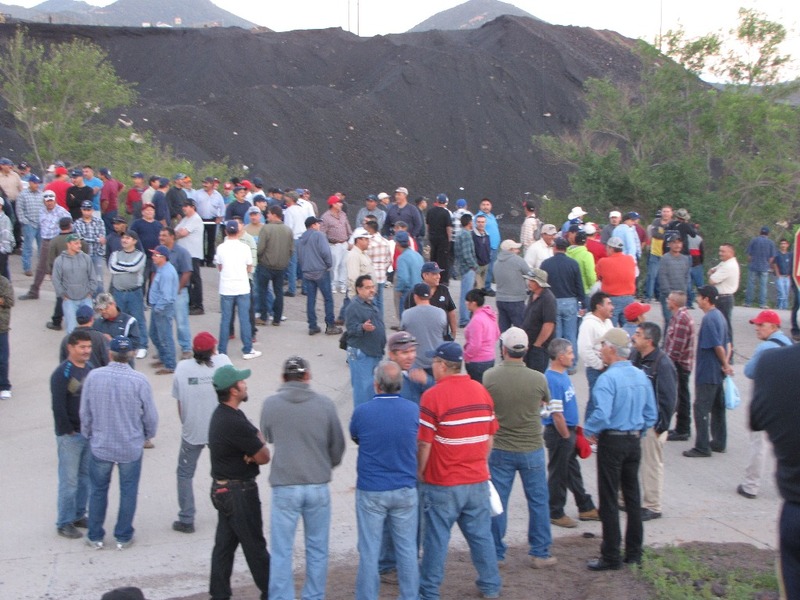 At least five or six mines are located in about ten communities in the Northern Sierra region of the state of Puebla. The Los Cardones project, among others, in Baja California Sur, is a project that the people do not want installed because it is located in a protected area. In Michoacán, waste from the La Mira mine floods villages, stated Sergio Serrano, who is with the Pro San Luis Ecological group. 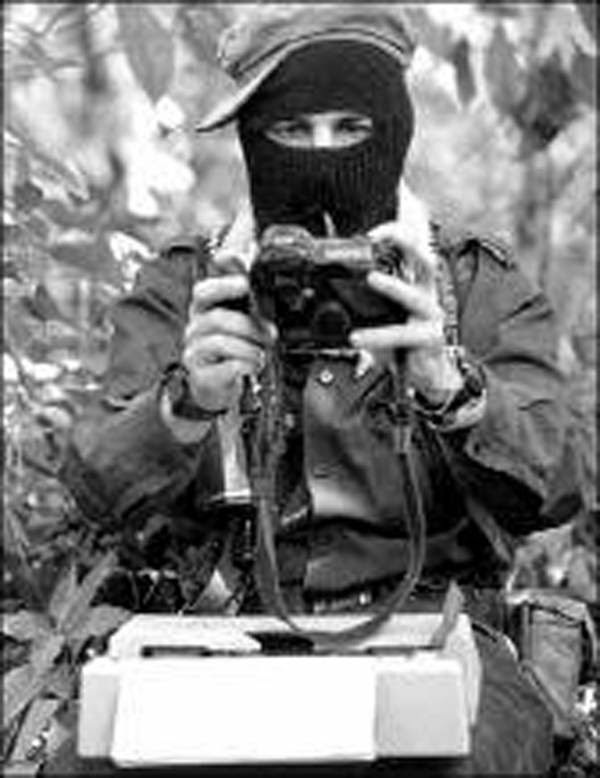 Serrano explained that in Oaxaca, Chiapas, Durango, Zacatecas and San Luis Potosí there are disputes in villages where mines are located. In addition to the San Xavier Mine in Cerro San Pedro, over-exploitation in the Sierra de Álvarez and in Angangueo, Michoacán, would affect the Monarch Butterfly Biosphere Reserve. According to the Fundar organization, the current legal framework in Mexico led to the consolidation of large national oligopolies, such as Grupo Mexico, Grupo Peñoles, Grupo Frisco and Altos Hornos de Mexico. This consolidation created conditions for the entry of more than 200 projects to be exploited by foreign, predominantly (70 percent) Canadian, companies. Serrano explained that the regulatory, labour, environmental and fiscal framework governing the mining industry in Mexico ensures that all profits from mining exploitation remain with the owners of these companies, while the extremely high costs associated with the exploitation itself are transferred to the people. Serrano said that the Buenavista del Cobre Mine in Cananea, Sonora, which spilled hazardous waste into the Sonora and Bacanuchi rivers, should be closed by any one of the three agencies with the authority to do so: Sonora civil protection [agency], the Federal Prosecutor for Environmental Protection, or COFEPRIS [Federal Commission for Protection against Sanitary Risk]. Serrano also mentioned that on May 25 the San Xavier Mine had a cyanide spill on their premises; workers there say that there have always been spills at the mine, but they have been hidden. *Fundar [Center for Analysis and Investigation A.C.], a non-governmental organization, is a pluralistic, independent and horizontal organization that seeks to move toward substantive democracy.